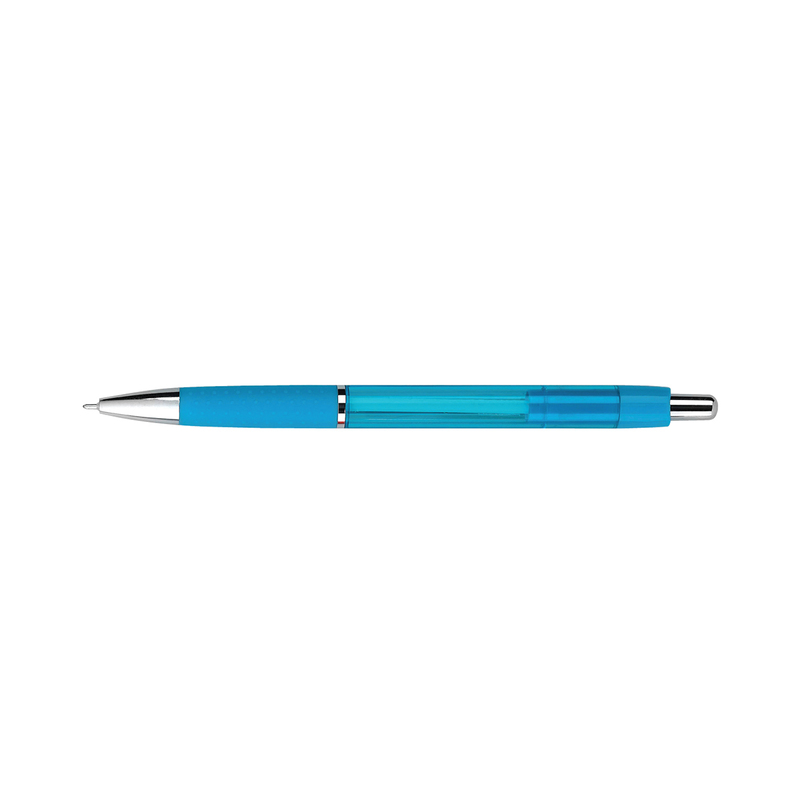 Retractable, bright, translucent styled pen with metal clip. Comes with black or blue ink. Imprint Area: 1.62" x 0.56"